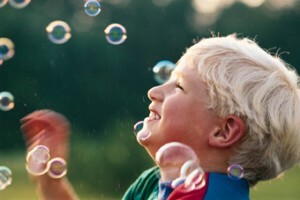 Following are a list of suggestions for cultivating joy and happiness into your life. We all have the choice to choose joy and happiness. At the end of this post I have included additional inspirational quotes. This little nightly exercise creates positive energy to go to sleep with. You will realize that every day has things to feel gratitude no matter how hard of a day it was. And it will also create a shift during the day where you notice more and more things to be grateful for. Keeping a gratitude journal will draw more abundance into your life because you are acknowledging how grateful you are for what you do have. Reflect on activities that have brought joy in the past. This simple activity will quickly put you into a place of joy. Watch children or animals to see how easily they find joy. Both children and animals can bring much joy into our lives. Notice how they easily they live in the moment, just enjoying life and all the little gifts it has to offer. Watch a young child at play; running and rolling around, giggling and just being silly. Or a dog playing catch with a ball. When was the last time you took time to just play? Although we know just from the experience of being in nature that we can find peace and happiness, it is also scientifically proven. Take some time to just be out in nature. When nature is explored and viewed without judgment, it gives the sensations of harmony, balance, timelessness and stability. Laughter is contagious, you really don’t have a choice. Watch funny movies, do something silly, just laugh. Any kind of movement will shift your energy into a more positive one; dance, yoga, tai chi or qigong, and walking, all forms of movement allow energy to flow more freely through the body. All the better if you create a practice out of it. Be present, pay attention to your breath and the way your body is moving. Even the smallest changes in your environment will allow fresh energy to enter into your life. Clear out some clutter, change the color of a room, move furniture around, clean, open a window, add plants and flowers, burn a candle. Create a space that feels comfortable to you, even if it is only one room. We all know the expression “you are what you eat”. It’s important to be conscious of what type of food you put into your body. Fresh locally grown organic foods are going to have the highest quality of life force energy and are what is going to make our body feel healthy and alive. Eat healthy; limit or eliminate alcohol, caffeine, sugar, meats and processed foods. Eat smaller portions more frequently rather than large meals. Drink plenty of pure filtered water. If your body feels good and is happy, you will be as well. With our hectic lives, it is hardest to make time for our self, yet it is probably the most important aspect for creating joy and happiness. It is the time to recharge our batteries, to nurture ourselves. Learn to say “no” when you need to. If we are always giving of our self, we will run out or become low in energy. It’s a fact; there needs to be a balance. Just take some time to spend it in a way you totally enjoy. Work on a hobby, take a relaxing bath, indulge in a treat for yourself, loose yourself in a book. Take time to love yourself. Although the healing process itself is not typically joyful, the after effects are. There are numerous methods of allowing healing to take place; massage, therapy, Reiki, yoga, journaling, retreats, meditation, fasting… It is important to remember that the healing process may become its hardest just before the breakthrough and release of blocked energy, stick with the process. Change is inevitable. Adjust the quality of your relationships. This quote by Jim Rohn is important to remember: “You are the average of the five people you spend the most time with.” Are you keeping company with positive, joyful people or negative, drama-filled people? It’s very easy to absorb other people’s energy/emotions. Avoid drama by changing the subject, say something positive about the other person, walk away from the conversation, keep quiet or clearly state that you no longer want to participate in gossiping about others. Keep a journal and each evening record your daily accomplishments remembering to include the small ones. It is human nature to remember the times we have been unsuccessful; make a habit to remember your accomplishments. This is a great way to boost self-esteem and confidence which will remove some of life’s fears and open the door to more success. Be kind to others for no reason at all; buy someone flowers to brighten their day, pay for the person’s coffee behind you, tell someone they look nice; you never know what effect that may have on their day or even life. It is well known that people with a spiritual practice lead happier and more joyful lives. 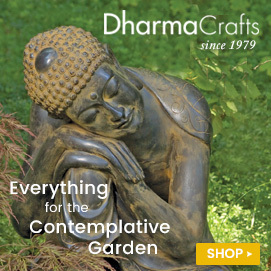 Some of the benefits of cultivating a spiritual practice include universal guidance and support, centeredness, a sense of purpose and meaning to life, a deeper connection to others, seeing the “bigger picture”, and a deeper inner connection. For many people volunteering provides a sense of satisfaction and joy. It is important to volunteer from your heart, not out of a sense of obligation. “We cannot cure the world of sorrows, but we can choose to live in joy.